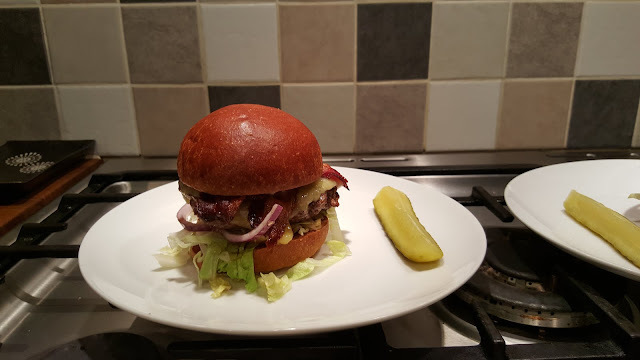 As anyone who's a regular reader of this blog knows, I'm a long time fan of the burgers created by Fred Smith, Byron's Head of Food Development and hold a deep respect for the attention to detail and central philosophy that has helped him steer Byron from it's first restaurant in 2007 to the nationwide chain with more than 50 restaurants it's become today. So when I was approached to get a sneak peek of the new Byron: The Cookbook and have a go at recreating their Byron burger (their classic bacon cheeseburger), I couldn't resist. 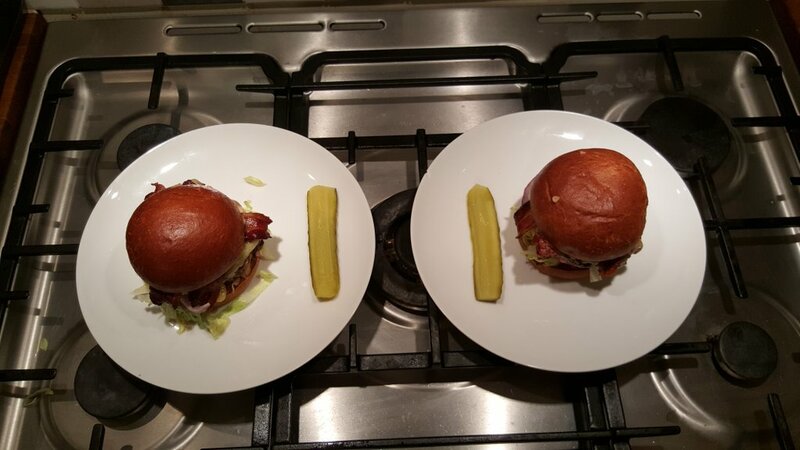 Bun, beef, bacon, cheese, salad, gherkins and sauce are all you need to recreate the Byron burger. Slather that bun with Byron sauce. Beef, cheese, bacon - the dream combination. All that hard work calls for a beer. The recipe is simple, but effective - check out all the juicy details on Intu's Inspire Me Blog.